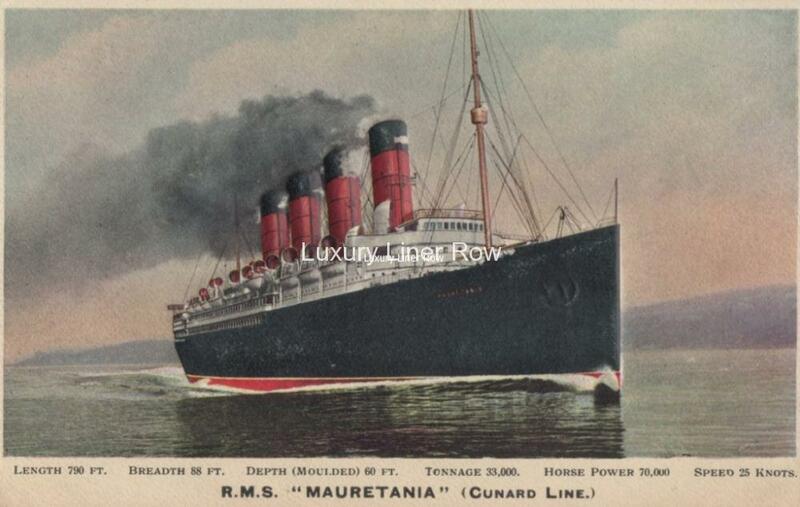 Well-made and interesting postcard with a 3D effect of Mauretania on her trials. The 3D effect is produced by pressing the image into a thicker cardboard style of postcard. The result is that the ship and her funnels stick out of the card. Lots of detail can be picked up by this process such as the lifeboats, bridge front, and cowl vents all individually picked out. Quite a neat trick. 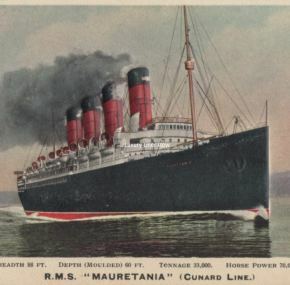 The card is available either unused or one posted from on board in October, 1908, with a message about the ship and the crowds who came to see her off.